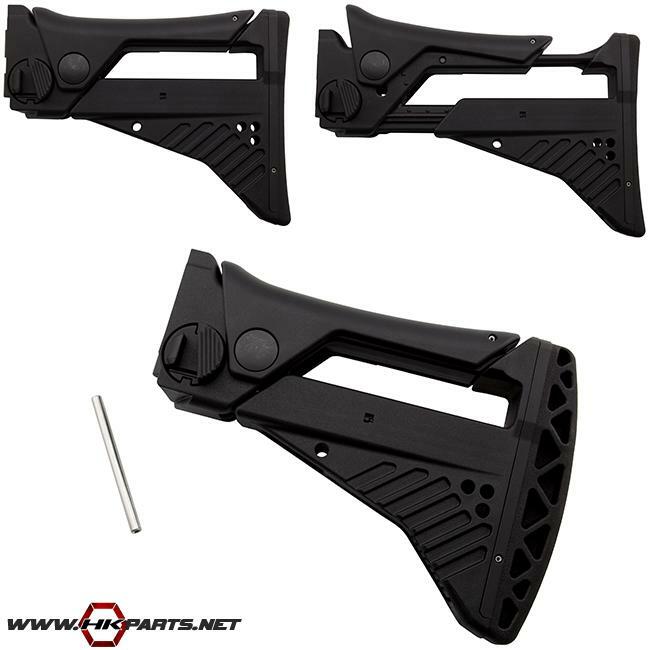 We offer two different HK G36 IDZ fully adjustable stocks on our website. One with a convex buttpad and another with a concave buttpad. Each stock features the following features: super robust, compact design, 3 forward and back positions, 3 cheek piece elevation positions, & folding capability while retaining the ability to fire with the stock folded. These are great stocks, so be sure to check them out!